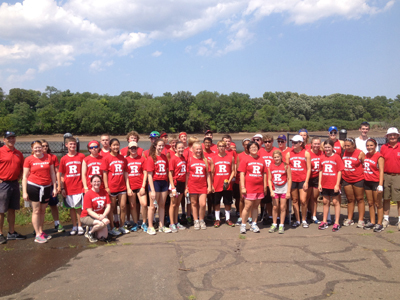 The Raritan Valley Rowing Camp has enjoyed enormous success over the past several years. Now in our 30th season, the camp has evolved into the most popular and respected program of its kind in the country. The outstanding coaching staff, the top rate equipment, and the variety of additional activities have made the Raritan Valley Rowing Camp a truly special place. Our philosophy has always been to maintain the highest level of instruction while creating a challenging and, most of all, fun environment. Limiting the number of campers each session has allowed our staff to get to know each camper individually, and give each one the attention, help, and motivation to succeed in our sport. Teaching rowers of all levels and watching many of them go on to success as members of high school teams, Junior National Teams, and college teams has been extremely rewarding for us and our staff. We strive to create an enjoyable and positive experience for an increasing number of high school athletes. The high rate of returning campers each year, and the kind words about our program from various high school coaches who have had their athletes attend, are good signs that we are achieving our goals.